WOD w/ 85#, 2 ab mats for HSPU’s, Goblet lunges & Burp pull-ups, row instead of bike! What a strong, beautiful family! Wod rx from bottom up. 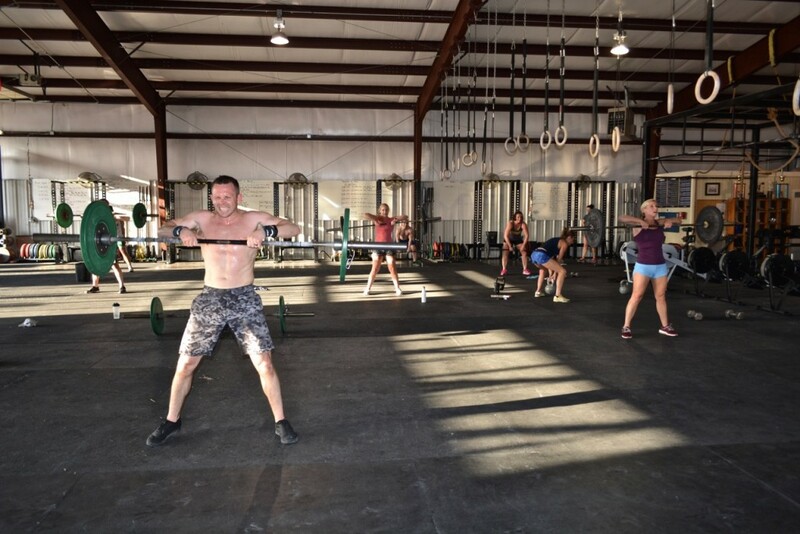 Fun WOD – great jams – awesome class! Thanks Nicole. SO sore from the WOD’s yesterday..felt like I was just slowly moving through the motions today! I’m so dumb I just realized I only rested two minutes in between two of the work outs! The best of the BEST, working out in this pic. Get some CFJ! Thanks for the coaching DB! Loved having you there! 27:52 I believe. Just kind of went through the motions. I feel ya jess! Close to Rx – 1 Ab Mat On HSPU and 4 failed MUs turned into C2Bs. Tabata abs w/ Chrissy and Taylor!